Marking the Milestone with the Man Who Wrote the Book on Pursuing Your Dream!! 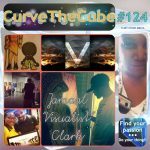 Welcome to the THIRD ANNIVERSARY episode of the Curve the Cube Podcast!! My special guest on this milestone of a day is author and entrepreneur, James Oliver, Jr. of WeMontage, who wrote a book that I absolutely fell in love with and have discussing in pieces with a few of my most recent guests. His book, The More You Hustle, the Luckier You Get, provides a deluge of raw, relatable trials and triumphs that all of us shooting for a dream can find both humor and comfort in. James doesn’t pull any punches and was simply the PERFECT pick to sum up some of the main touch points I’ve been covering all along on this show. So…. 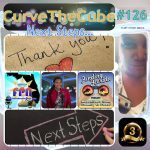 And, thank you from the bottom of my heart for listening for these past three years; as you’ve heard me say on the last couple of episodes, my plan has been to flipping the name of the show from from “Curve the Cube: Where Dreamers Become Doers” to “Dreamers Become Doers: Curve the Cube and Do the Impossible.” But, after a very thoughtful conversation with my mentor, Glenn the Geek from the Horse Radio Network, there is an even BIGGER change that I now have planned for the show and hope you can all get behind. As the coincidence of good timing would have it, Glenn and I will be spending some time together this weekend. So, he’ll join me in recording a fully fleshed-out announcement and explanation of that change. So, be sure to look for that, as it could even be released ahead of the next scheduled release date for the show, which would normally be the first. If you are thinking of starting your own podcast, head to Libsyn.com and sign up with my promo code “IGNITE” to receive a free month of hosting with the leader in the industry. If you already HAVE a podcast and you are based out of Florida, go ahead and submit it to Florida Podcast Network’s Directory. It’s FREE and always will be. Head to FloridaPodcastDirectory.com. 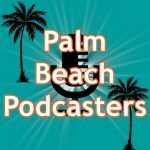 And, if you are in SOUTH Florida, visit us at PalmBeachPodcasters.com. Join us at a MeetUp and learn from your peers who’ve already been through a bit of the podcasting fire. We will be having our 2018 planning session soon, and would love for you to contribute YOUR thoughts!